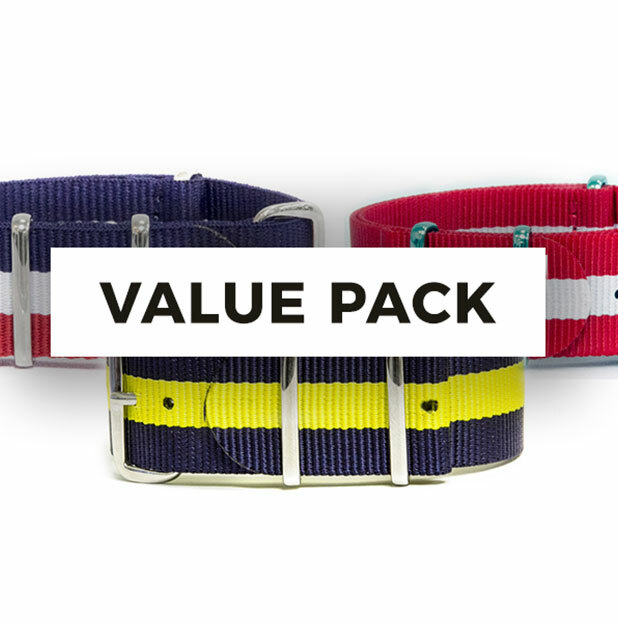 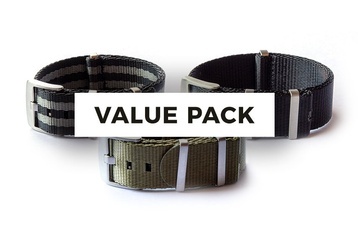 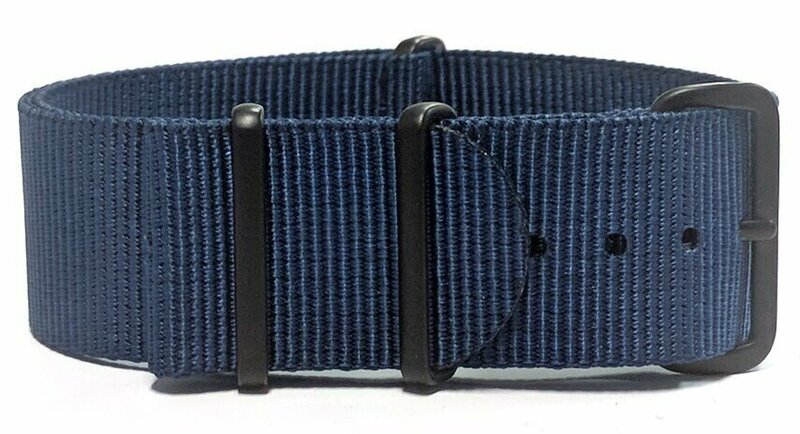 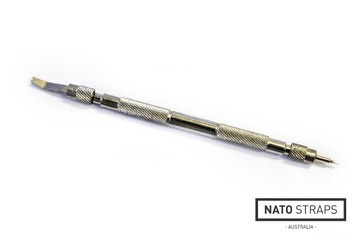 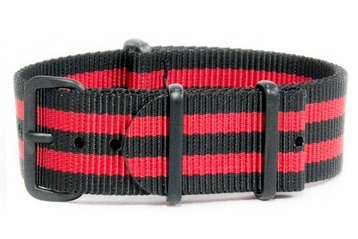 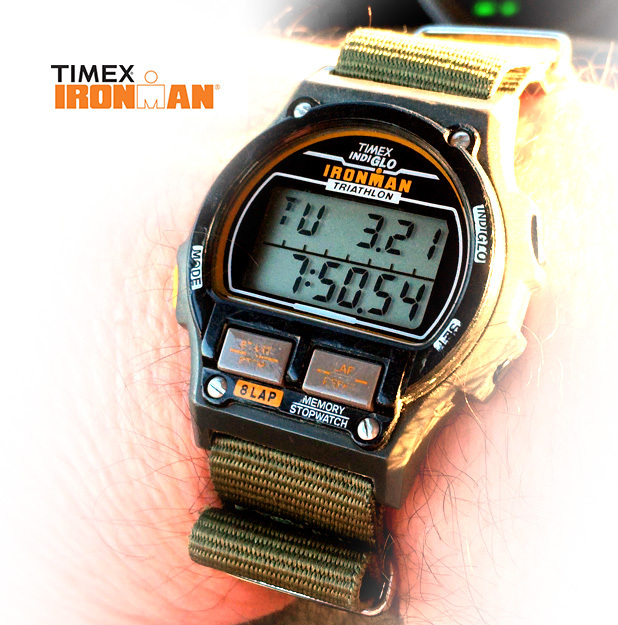 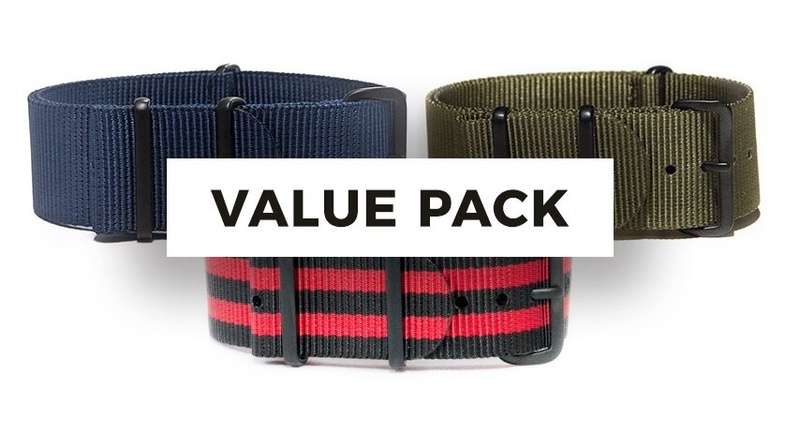 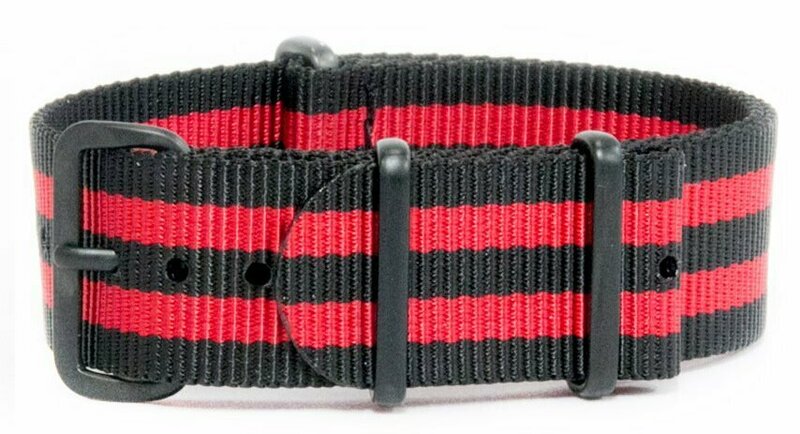 3 pack of our best selling interchangable G10 NATO straps - all featuring black "PVD" Buckles. 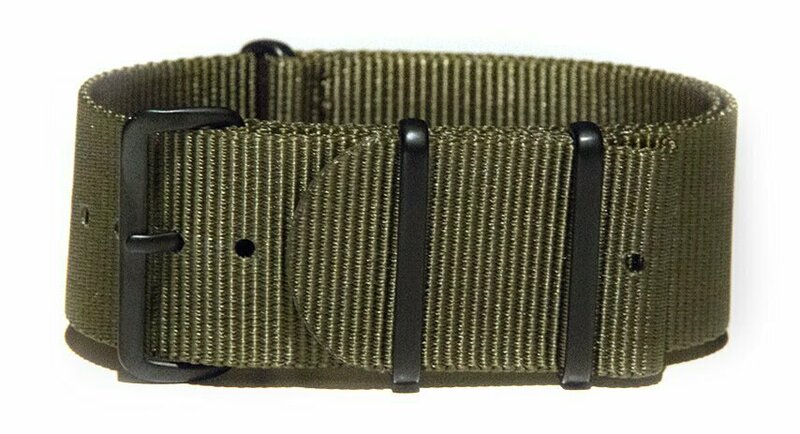 Our PVD coated buckles have been treated with a thin layer of titanium nitride - an extremely dense and exceptionally hard metal compound. 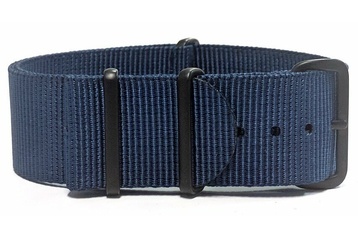 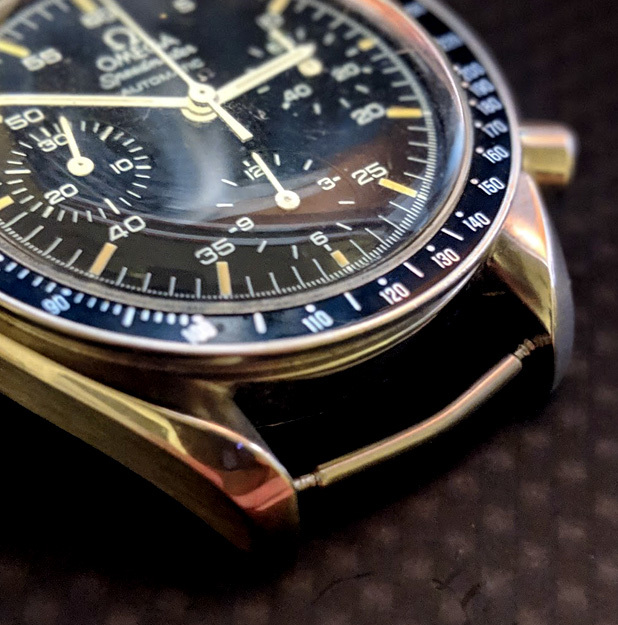 This leaves a matte-black surface on the buckles. 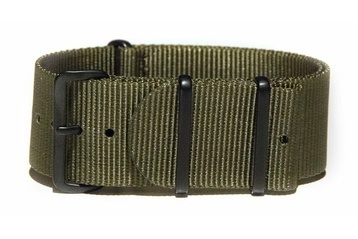 Buckle and keeper material: 316L stainless steel "PVD"